Although, seven years does not seem to be a very long time from a general perspective; from a business perspective, it is a long time. Each business year is a milestone and companies assess where they stand among their competitors. Consider the case of social networking sites, which had no existence seven to ten years ago, but now they are used very extensively. New electronic gadgets and new technology coming up each day are continuously changing business scenarios. What is new today will soon be obsolete tomorrow. Therefore, in the current business scenario, it has become really important for organizations to keep pace with changing times. As companies change, their HR requirements also change. Due to the continuous evolution of HR technology, the buying trends of HR systems have changed tremendously over the past seven years. HR systems of today have aged and have become more mature. Companies have stopped using excel sheets for payroll calculations and employee management and have started using more advanced HR systems. HRMS software used in large companies are now five to seven years old. 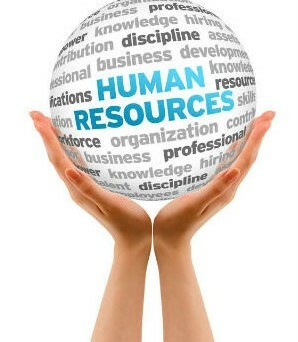 Some of the future trends of HR are discussed below. New HR trends suggest that on-premise hosted costly enterprise applications will be obsolete in next seven years. Organizations will stop using enterprise applications and web applications moving to cloud applications, which are easy to buy and use without bearing any infrastructure cost. The use of could based software takes a company out of the major upgrade cycle of versions of the applications. In cloud based applications, software vendors mange application versions for their customers. Technology is crossing geographical and device boundaries. People are already using hand-held technology for virtual meetings, conferences and virtual classroom trainings without worrying about where they are located geographically. The demand for new interface and consumer-like experience will be a driving force for future HR applications. With easy availability and common use of tabs, smart phones, and other mobile devices, organizations will soon prefer to allow their employees manage their time sheets, leave and expenses on their hand-held devices. A research shows that most companies these days use three to four different HR software systems to manage different requirements. They use one application for managing recruitment, another for managing payroll and yet another for human resources in the company. Future trends suggest that companies will soon prefer to buy a single vendor solution for all their HR needs. Dealing with one vendor, companies benefit with reduced data integrity problems among different HR products. In addition single integrated systems are cost effective and are better self-managed by employees for various administrative activities. HR professionals will emerge as strategic business partners for organizations, working with the senior management to find the right combination of compensation, benefits, and learning opportunities for the employees of the company. The new generation of HR employees will be more specialized in HR disciplines as compared to today’s scenario where HR professionals get on-the-job training and master all HR disciplines. EmpXtrack HR application is a cloud-based global HR application that excels in providing a complete integrated solution to organizations. It is the next generation software for Human Resource and is powerful enough to handle all 18 functions of the HR department through its single window interface.